There is one principle of our democratic republic that has been betrayed. It is the principle of compromise. When compromise becomes a forbidden word, a sign of disloyalty to a party or particular interest group, achieving the consensus necessary to govern becomes impossible. Those who reject compromise and reason in favor of rigid adherence to party dogmatism are the American equivalent of radical Islam. It is said that there is no word in Arabic for compromise. My son spent a year in Iraq helping to develop the election process there. After working with election officials and politicians in Iraq I asked him whether or not he felt the new democracy could succeed. He said, �Yes, if they learn to compromise.� That is no small challenge to overcome. In Iraqi culture to compromise is to lose face, a form of dishonor that is not forgiven. Six months after the most recent elections there is no new government formed. Why? They can�t bring themselves to compromise. If they fail to compromise their democracy is doomed. And we may be following their example. Corporate managers might have some empathy for those in government.� No CEO would want to lead a company in which the stockholders have expectations that are impossible to meet. And, in which two competing factions raise money to undermine the efforts of the other and their devotion is more to their party than to the success of the company. It is a prescription for failure. A study of the rise and fall of civilizations demonstrates that in the emerging periods of growth and integration the citizens have a long range view. They will sacrifice for the �cause.� In decline the focus is increasingly inward, on self and short term. �What�s in it for me now?� In the later days of the Roman Empire, Caesars were given only a few years to right the ills of Rome, an impossible task that soon resulted in their rejection. The field of combat is increasingly within, civil warfare, rather than against an external enemy that unifies the energies of the citizens. The citizens appear to have expected the economic crash of two years ago to be �fixed� by now; unaware that Roosevelt required eight years and a world war to pull the country out of economic downfall.� The failure of a young President to perform miracles has resulted in declarations of failure and calls for his head. Without debating whether his policies are the best or not, I am more concerned that the very system of governance in the United States is in a process of disintegration. This disintegration is fueled by ignorance and false mythologies� concerning our country�s founders. If you listen to the Tea Party candidates you would believe that at our founding there was some conservative Garden of Eden in which the Founding Fathers prayed to Jesus and unanimously agreed to a government that did not tax its citizens and maintained the most minimum powers to govern. This claim is ignorance of immense magnitude. The idea that the Founding Fathers were �conservative� is absurd. If they had truly been conservative they would have been Loyalists to the King. They were not merely �liberal�, they were radical revolutionaries. They believed in change, progress, and creating a new and better way to govern. Thomas Jefferson even proclaimed that �Revolutions in human affairs, like storms in the natural environment, are from time to time, a necessary and desirable thing.� In another place he declared that they should occur about every twenty years; hardly the mindset of a conservative. But, more importantly, the idea of rigid ideologies, or party loyalties, would have destroyed the country at its beginning. The Constitution itself required a �Great Compromise� that settled the dispute over how large and small states would be represented in the legislature and resulted in both a House of Congress and a Senate. 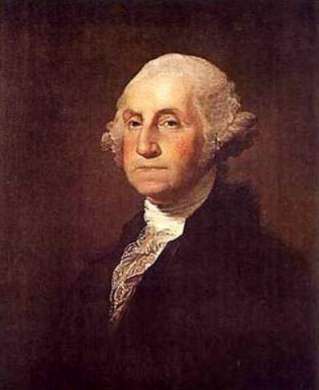 In George Washington�s first term as president he confronted two opposing views of the Federal government, a dispute that had not been resolved in the Constitution itself. The very men who authored and signed the Constitution did not agree on its meaning. On one hand was Treasury Secretary, Alexander Hamilton who felt the need for a strong federal government and a national banking system. On the other side was Thomas Jefferson who preferred minimal Federal government and strong state government (until he was elected President, of course!). How can modern day politicians boldly proclaim that they know the intentions of the Founding Fathers when they disputed it themselves? The argument about the role of the Federal government, particularly in matters of finance, was so intense that it led both men to align themselves with newspapers (the FOX News and �mainstream media� of the day) and fed them rumors and personal insults to undermine the other. The dispute was settled only by Washington himself and he came down on the side of Alexander Hamilton and supported the need for a strong Federal role in the economic affairs of the nation. But, the important element was not who won. Rather it was that these great men were able to argue their points and then agree to move forward and implement the position that prevailed. They were willing to compromise for the good of the country. against the baneful effects of the spirit of party generally. This spirit, unfortunately, is inseparable from our nature, having its root in the strongest passions of the human mind. It exists under different shapes in all governments, more or less stifled, controlled, or repressed; but in those of the popular form it is seen in its greatest rankness and is truly their worst enemy…. So, what are the lessons for our corporate leaders? First, good governance results from thoughtful and strong willed individuals who are willing to argue their points of view forcefully, but� then are willing to compromise and achieve common ground for the common good. This is the essential requirement of participation on a leadership or executive team. Second, know the facts and base your arguments on real facts, not on dogma or mythology. Third, labels are destructive of intelligent analysis and sound decision making. It would serve our country well if our leaders at every level restrained themselves from labeling any opponent as either liberal or conservative, labels that have come to have little meaning in today�s complex world. Argue for specific programs or the elimination of programs. Labels do not lead to sound decisions about which defense or social programs need to be cut; or which taxes need to be increased or decreased. Labels only inflame the �spirit of party.� Both parties agree that the budget needs to be balanced. It is neither a liberal or conservative idea, merely a fundamental principle of economics and sound government. Get on with it! Remember that the defeat of corporations and civilizations comes from within, from disunity, when the energy expended toward internal combat exceeds the energy expended in the common good. NextGross Workplace Happiness – Can it be Measured and Does it Matter? Folks, a couple comments were made last night and, in my stupidity, I apparently and accidentally deleted them. It must be the effect of waking up here in Neigmegan, Netherlands to leave and catch a plan back to the US. Very sorry. Please repost if it is not too big a bother. A very thoughtful and timely piece – full of wisdom so lacking in the press and politics today. And again, many thanks for your valuable contributions both on stage and equally important behind the stage. Hope to see you back in Europe soon. Larry- Envy your time at the EBBF AC. The energy, love and spirit is unmatched at any other conference I have ever attended. So sorry my own affairs kept me away. Your piece is extraordinary in expressing my own frustrations and anguish that such a great country of promise is on the brink of a deep slide to who knows where. Your thoughtful well grounded and firm reasoning should be resonating from sea to shining sea. I often refer to Washington’s warning about political parties. I will do what I can to pass along your message. Thanks for thinking through the chaos and setting forth the just path of governance. Positive psychologists have done a lot of research in the area of “wisdom studies.” People with higher levels of wisdom (judgment, curiosity, love of learning, ingenuity, social intelligence, perspective) prefer collaborative decision-making, while those with lower levels of wisdom prefer power-oriented win-lose/black-white style of conflict resolution or decision-making. This, of course, is predicated on the assumption that their measures of wisdom are accurate. How would some of the extremists define wisdom? I would be interest in the reference to that research. Steve, thanks for your comments. EBBF was very good this year. Most impressive were the young entrepreneurs who presented. Very hopeful! The concept and act of compromise are lost on those individuals who see people who disagree with them as not only wrong, but evil. The days when politicians could vehemently argue over a bill and then go to dinner together appears to be over. That the tea party “movement” is real should by now be obvious to all, and that people across the political spectrum are scared and angry should not surprise anyone. Leadership, respect, honor, responsibility and truth have been sorely missing for a while now in our public officials at the local, state and national level of government. What the Founding Fathers did know was that an educated citizenry was necessary to keep the nation free and moving forward, and that those who were willing to serve had to be dedicated to the common good and not merely themselves was self-evident. Alas, we are lacking in both.